Social avoidance goals have been linked to negative social outcomes and may contribute to the social impairment experienced by socially anxious individuals. 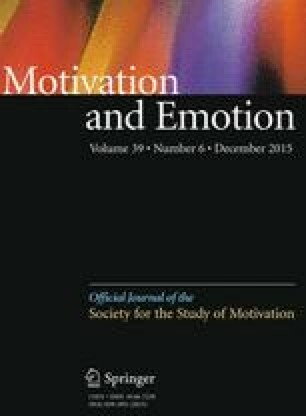 In this study, we examined whether engaging in acts of kindness, a technique designed to increase happiness, decreases social avoidance goals in socially anxious participants and whether social anxiety reduction and hedonic enhancement (i.e., increased positive affect) mediate this effect. Socially anxious undergraduates were randomly assigned to three conditions: performing acts of kindness (AK; N = 38); exposure only (EO; N = 41); and recording life details (LD; N = 36), a neutral control condition. Participants engaged in these activities for 4 weeks. AK resulted in the greatest decrease in social avoidance goals by post-intervention. EO also reduced avoidance goals over time relative to LD. The effect of task condition on avoidance goals over time was fully mediated by social anxiety reduction over time. Neither AK nor EO increased positive affect. Implications for social anxiety treatment are discussed. This manuscript includes data from the first author’s doctoral dissertation. This research was supported by IODE Canada, the Social Sciences and Humanities Research Council of Canada, and the University of British Columbia. The authors would like to thank Sara Yuen, Elisa Choi, Carmen Gee, Brett Sinclair, Rachelle Pullmer, Angela Cheung, Uyoyouoghene Eto, Donya Samadi, Janet Jung, Lucinda Xin, Ingrid Tsang, Anna Bourak, Dawn Lee, Dedy Wong, Annie Tang, and Jade McGregor for their assistance with data collection and preparation, Dr. Rebecca Cobb for her feedback on an earlier draft of this manuscript, and Morgan Donahue, Dorianna Dickson, and Roza Mohammadi for their assistance with data coding.